Dalai Lama Asks Exiled Government To Amend Constitution, Let Him Retire : The Two-Way The spiritual leader said he was not shirking responsibility, but setting up Tibetan's in exile for the long haul. 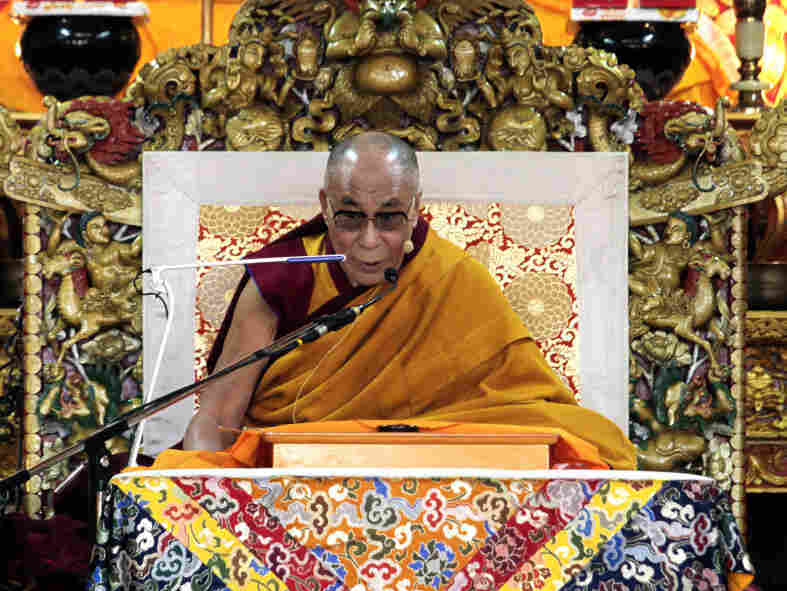 As we reported last week, the Dalai Lama intends to retire from his role as the political head of the Tibetan state. Today, the 75-year-old monk made it official, when he read a letter to a meeting of the exiled Tibetan Parliament in Dharamsala, India. "On the contrary, I wish to devolve authority solely for the benefit of the Tibetan people in the long run. It is extremely important that we ensure the continuity of our exile Tibetan administration and our struggle until the issue of Tibet has been successfully resolved. "If we have to remain in exile for several more decades, a time will inevitably come when I will no longer be able to provide leadership. Therefore, it is necessary that we establish a sound system of governance while I remain able and healthy, in order that the exile Tibetan administration can become self-reliant rather than being dependent on the Dalai Lama." The Hindustan Times reports the parliament will discuss a change to the constitution on Tuesday. They report that the political title has already been mostly symbolic and the 14th Dalai Lama will retain his role as Tibet's spiritual leader. The Times of India adds that if the paliament accepts the Dalai Lama's proposal, it would "tame China's plans to impose its own Dalai Lama on Tibetans as it did in the case of Panchen Lama when the present Dalai Lama departs." The Panchen Lama is the second highest Tibetan Buddhist leader. The current Panchen Lama was chosen by China in 1995, after it rejected the Dalai Lama's choice.